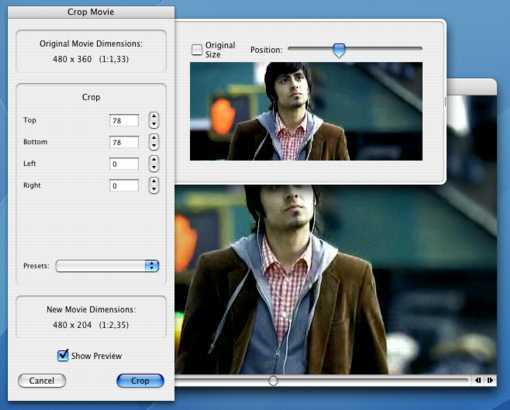 QT Sync is a QuickTime movie player that allows you to correct Audio/Video Sync problems "on-the-fly". QT Sync is a QuickTime movie player. 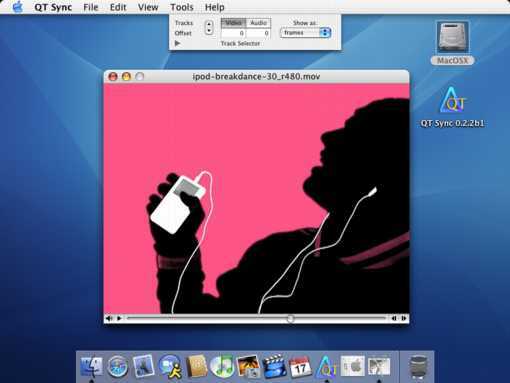 Fixes some graphical glitches on Mac OS 10.5 Leopard. TC Inserter: Can now add the TC TextTrack outside the visible Picture. (This will change the Movie Dimensions, but has much better Performance. Due to a bug in QuickTime for Intel Macs, TextTracks will eat up a lot of CPU power, when they are displayed inside the visible area of the movie. Especially with movies encoded with Motion JPEG A.) For more information open the TC Inserter Window and click on the Help Button in the window. TC Inserter: New "Detect" Button. If a Movie contains a TimeCode Track (MediaType "tmcd"), QT Sync can now detect the TimeCode FrameRate and TimeCode Position. TC Inserter: Under certain circumstances, a TC Text Track would not show up in front of the video. QT Sync now checks for the Layer information and changes it, when neccessary. Controller Window no longer grows when the mouse is moved over the Movie Window in "Fill Screen" Mode. No more "Unknown Exception while loading the Preferences File." when running a new Version of QT Sync for the first time. Full Screen Mode: Controller Window will no longer automatically hide when the mouse in inside the Controller window. Will now open .mkv ( Matroska Container - www.matroska.org ) files. Needs Perian 1.0 Codec to work ( www.perian.org ).